The collective experience, knowledge, and talents of Ameena Project staff and board of directors make us uniquely suited to leverage limited funding into programs that create dramatic difference in the lives of vulnerable children and families. 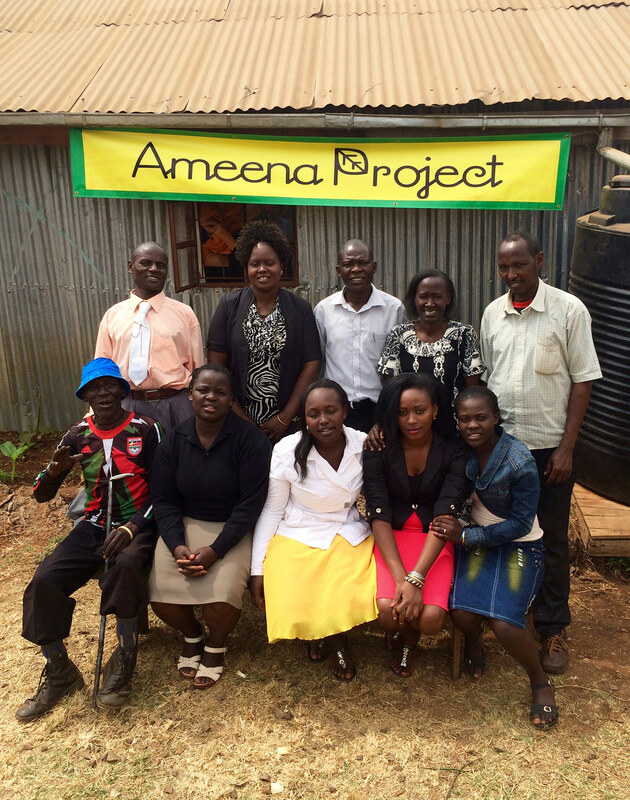 One of Ameena Project’s goals is to empower and cultivate local leaders to live out their vision and passion. And this project is possible because of the passion and determination of our Ameena Centre staff. They are embedded in the community and know every child, parent and family. When a student is absent, they check in on them. When a child experiences health or family issues, they provide support. And they are responsive to the feedback of community elders and members. To show our support for their dedication and to invest in their future we offer a development fund that covers continuing education classes and training for staff members and their families. Ameena Project is possible because of the passion and determination of our Ameena Centre staff. Mercy lives near Kiang’ombe with her husband and two sons. She is a college trained early childhood development teacher with a deep passion and talent for bringing out the untapped potential in vulnerable children. She has worked at Umoja Primary School, one of the lowest resource schools in Thika municipality, as well as a local preschool program for children living in extreme poverty. Mercy has seen the positive changes in struggling children when they have the opportunity to attend an educational program that is creative, exciting, and that truly values each child. Her name says it all: Mercy is a true light in dark places. She is powerfully committed to lighting up the lives of the neediest of children. Hillary lives with his wife Nancy and three children near Thika. Prior to formal employment, Hillary was a regional youth leader and volunteered for community youth development activities, something Hillary continues to do in his free time. He worked at a local children’s program as a teacher’s assistant, where he discovered his aptitude for working with vulnerable children. Hillary is a bright professional who spends his life helping others. He brings his love for children to this project, along with a dedication and commitment to make Ameena Centre an ongoing success. 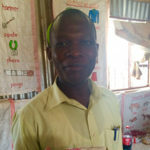 Hassan lives with his wife and five children in Thika. His youngest daughter was born at the same time as Ameena May and their families have a special connection. Hassan is an incredibly loyal, strong, and dependable man. When Hassan is on duty, the school is assured that everyone and everything will be safe and secure. Gabriel is responsible for the security of the Ameena Centre buildings, property and people onsite. 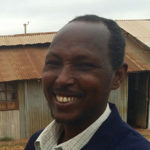 He lives in Kiang’ombe with his wife and children. As a youth, Gabriel spent many years in prison where he had an incredible personal transformation. He tells everyone he meets about his new life and the passion that drives him. Gabriel is incredibly dependable and dedicated to the project and protects our property and staff like they are his own. While security is his main duty, Gabriel chips in wherever he can to make sure everything goes well on his watch. We’ve seen our school become the heartbeat of the community with elders and family members uniting to help make the project a success. 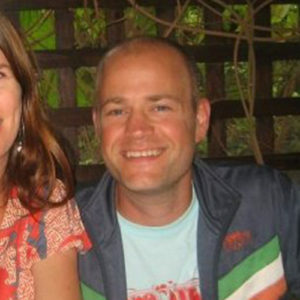 Ian May is co-founder of Ameena Project. He moved to Kenya in 2009 and, with his wife Anne, started and managed all aspects of a comprehensive humanitarian project in Thika. 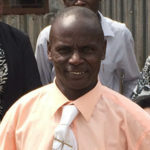 By living and working in an isolated location surrounded by slums, he gained a unique understanding of the great obstacles and powerful potential of working in impoverished communities in Kenya. Ian and his family returned to Portland, Oregon in 2010 and formed Ameena Project in 2011 in an effort to continue work in Kenya while living in the U.S. Currently, Ian works for a county mental health department as the wraparound program supervisor. He supervises the work of multidisciplinary treatment teams for the most acute and complex children and families. Ian returns to Kiang’ombe on a regular basis to provide oversight, professional development, and support to Kenyan staff. He loves ugali, sukumawiki and buzzing around Thika on the back of a boda boda. Anne May is co-founder of Ameena Project. 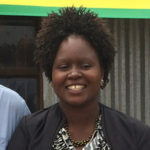 In 2009, she and Ian moved to Thika, Kenya with their two young children to lead a comprehensive humanitarian project. Anne and Ian’s youngest child, Ameena, was born there during this time. In addition to her leadership of Ameena Project, Anne is employed as a school psychologist, working with school teams and families to identify and serve children with special education needs. Anne returns to Kenya as often as work, family and finances allow. 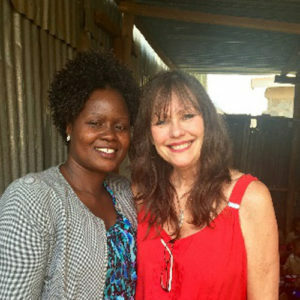 She enjoys the deep connections she has with staff and friends in Kenya. She also loves Kenyan fabrics and handicrafts. Her favorite Kenyan food is irio. Shari Altree has owned and operated a marketing and advertising agency for over 20 years. She creates strategic marketing materials for a variety of businesses in markets across the U.S. As a business owner, Shari understands key aspects of messaging, budgets and timelines. She has volunteered for many years, helping with capital campaigns and charitable giving. 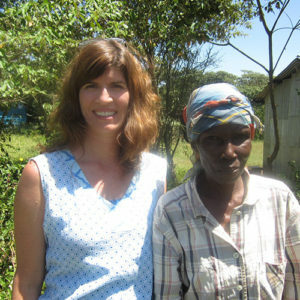 Shari went to Kenya for the first time in 2009 and was forever changed by what she experienced. She is now passionate about efforts that create positive change in Kenya where the need is tremendous. Tia Over joined the Ameena Project board of directors in 2013. Tia serves as vice president and chief strategy officer for The Mathews Group, delivering communications strategy and execution for top engineering and energy companies and providing pro-bono public relations support to Ameena Project activities. Tia is moved by the “acting on the love we were built for” ethos of Ameena Project, and drew close to the children, families and staff of Ameena Centre when she visited Kiang’ombe in the summer of 2017. Tia’s favorite Kenyan food is kachumbari, and she adores the importance of song and dance in Kenyan culture. She can’t wait to return.